If you’ve spent any money on Google paid search to promote your website and products, you’ve probably seen some major changes in your spend versus revenue over the last few months. Ryan Garrow, Director of Partnerships and Client Solutions at Logical Position, says you’re not alone. 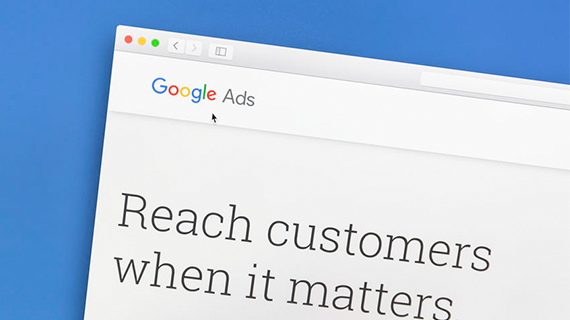 The digital marketing expert and certified Google Analyst explains many businesses are seeing their bids for paid search text ads increase while their online rankings decrease, and it’s all because Google has changed some rules of the game. For years, businesses have been utilizing Google’s paid text search offerings to help elevate their brand awareness and site traffic. But, with Google’s latest covert move to promote their Google Shopping service, text ads are now being pushed down in rankings in order to bring Shopping ads to the forefront. These image-based ads display prominently on Google’s search results home page in an effort to draw customers to product-specific web pages instead of more general product category pages. Unbeknownst to paid text search customers, Google has begun pushing customer-paid ads lower in search engine rankings by bidding the exact amount – or in most cases, more – for the same search terms in order to give their Google Shopping ads preference. While Google hasn’t been forthcoming about their recent paid search ad changes, they do make available a number of reports concerning their ad traffic. However, if you’re unsure where to look for them or even what to look for, those reports can be difficult to find. Garrow and his team are well-versed in Google methodology and, as a result, are able to access and analyze Google’s reports in order to track how much of that traffic is moving from text ads to product pages within Google Shopping. The numbers reveal their new paid search practices will have a big impact on retailers moving forward. Platforms like Google are constantly changing their rules to increase their profitability, which means the strategies you have in place today are probably not going to work tomorrow. As a result, you must constantly shift and adjust your strategy to stay relevant. Garrow suggests you start by leveraging every possible resource that Google provides within the paid ad space: build extensions that customize the browsing experience, add review stars on your website search results, and game the shopping system with lower price points on large-quantity items. Historically, some of the best converting pages for paid text search have been category pages. When users land on a category page as a result of their initial product search, they can perform a faceted search filtering by size, color, or other attributes to quickly find the exact product they want. But, with a Shopping ad, users are directed to a product page for a single item, which may not be the specific product the user is looking for. Data shows that over 50% of the time people buy something other than what they click on when they land on a product page from a Shopping ad. The key is helping them find that “something else” they’re going to buy. Garrow suggests using product suggestions, breadcrumbs, and easy faceted search features to guide buyers to your products. Also consider employing optimization tactics to make your product pages appear more like category pages so the buyer can find the right product easily – and stay on your site. For those who don’t invest in paid search, but instead rely solely on organic search rankings, Garrow agrees organic search is one component to success; however, he says it’s difficult to build a business on organic traffic alone because Google has an incentive to shake up those organic results. He explains if you’re ranked #1 on a term, you’re currently getting about 27 to 30% of traffic. But, if you happen to move from the #1 to #2 position in organic rankings because Google changed how they’re ranking sites, your traffic is going to shift from 30% to about 12% – which is a huge loss in site traffic. From a business perspective, it’s difficult to build a business just on organic traffic knowing that it doesn’t necessarily help Google. Before entering the paid search game, build out a detailed strategy and commit to reviewing it on a regular basis to ensure its viability. Garrow suggests analyzing your strategy at least twice a year to determine if you need to make adjustments or utilize different platforms. If Google is not performing the results you want, perhaps Bing can offer better traffic opportunities. Likewise, you may find LinkedIn paid search brings in higher search traffic than, say, Facebook. Also, to help manage expectations, view paid ads as a customer acquisition center – not as a profit center. While you may not necessarily see profit in that channel, you’re going to be growing your business incrementally and, in the end, your long-term profit will grow as well. For more paid search insights and strategies, catch Garrow’s presentation at our EVOLVE 2019 event April 9-12 in New Orleans. If you haven’t registered yet, spots are still available. Click here for more information.